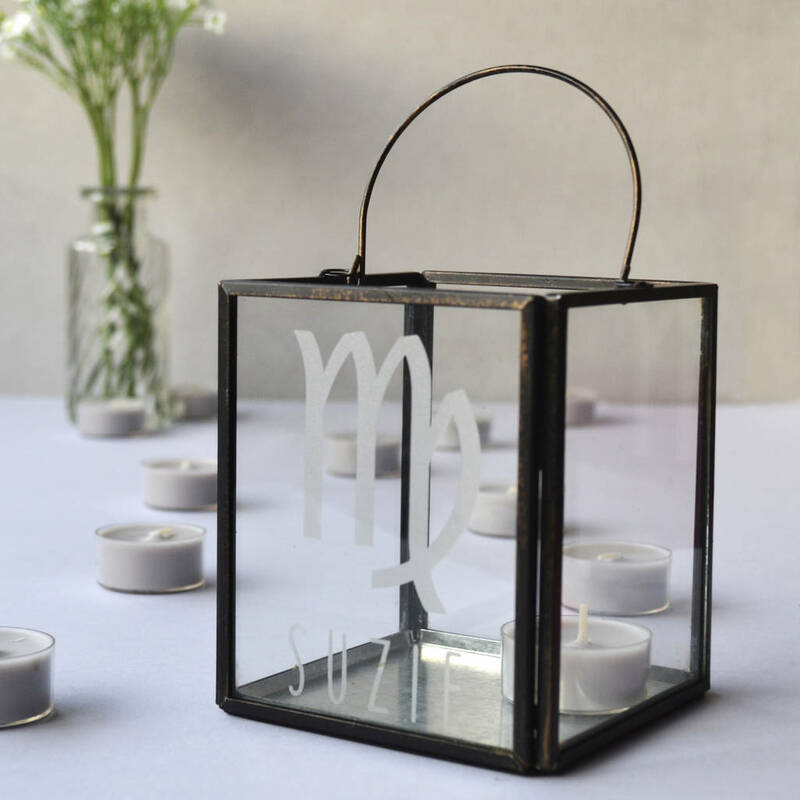 A lovely large lantern style candle holder personalised with a horoscope. This starsign home accessory is a gorgeous way to add a statement. This box shape candle holder is the most beautiful piece for a home. With an etch effect design and personalised with your astrological sign this is a wonderful gift for any Scorpio, Leo or Pices. This glass candle holder has on trend distrssed metal casing and a useful lantern style handle. With the bold etch effect design on the front of the lantern it looks gorgeous with or without a candle glowing inside. They are a really special present for a friend's Birthday, as a housewarming gift or just as a reminder of a friend as your re-decorate. This can be personalised with a name below the horoscope symbol. This product is dispatched to you by Solesmith.